All gallery images have been resized and cropped from the original. Among the millions who have played hockey, only a select few have joined the professional ranks. And of those elite, only a select few have earned Honoured Member Status. 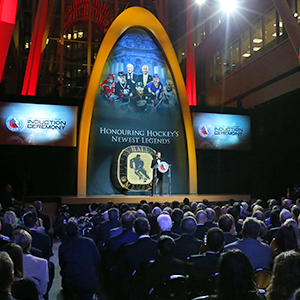 Welcome to the Hockey Hall of Fame's exclusive galleries dedicated to these Legends.